For decades Leedo’s single family division has produced stylish and durable products for tract home builders. With two local manufacturing facilities near Houston and expertise in high volume orders, we are the perfect partner for single family, tract home customers. Leedo offers competitively priced, fashionable cabinets and currently service single family builders in Dallas, Austin and San Antonio. USA made ANSI/KCMA* certified cabinetry. Two manufacturing plants located in Texas. Leedo sets our manufacturing, schedule to meet customer delivery requirements. * Select door styles are KCMA certified. Leedo uses the most current industry standard in CAD design software. Leedo offers products and services for tract home builders in several market channels and for various project characteristics. 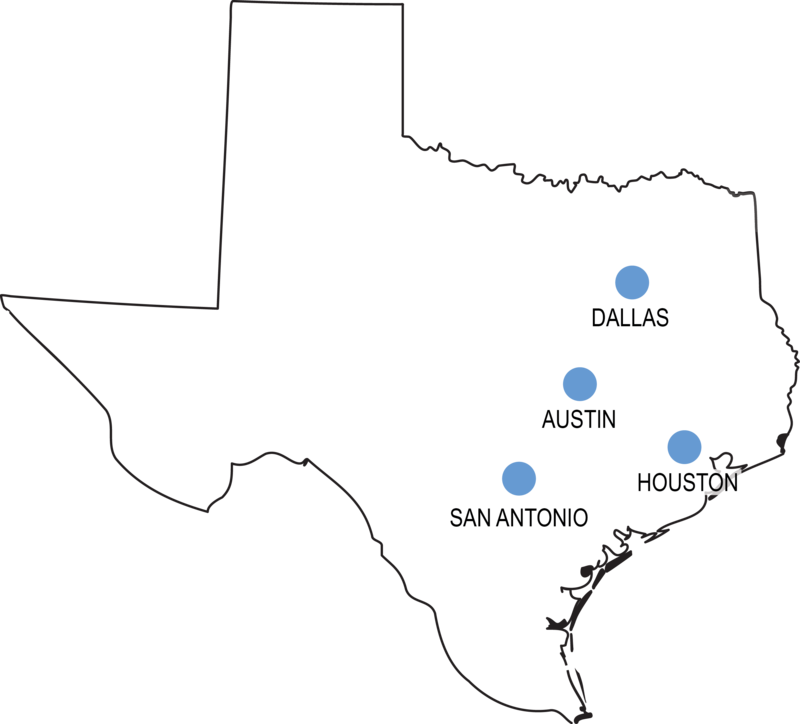 The select markets that Leedo serves are Houston, Austin, San Antonio and Dallas.